Whether you need help lighting a sign, parking lot, or the way home, Greenshine’s commercial lighting solutions can help you save money while keeping your business safe. To learn more, start a free quote online today. Ensure your property’s parking lot is properly with commercial-grade lighting solutions. Our commercial solar street lighting solutions are designed to light up your community. Keep your business safe and secure with our commercial grade solar powered security lights. Light your pathway with our energy-saving commercial solar lighting. Protect your business and property with our state-of-the-art commercial perimeter lights. Our commercial solar lights are designed to ensure everyone can read your signage clearly, day and night. Over the last 10 years, the popularity of commercial solar lights has soared. A myriad of corporations have capitalized on the numerous benefits of this revolutionary method of lighting due to recent advancements in technology that have reduced overall costs and increased awareness of green energy solutions globally. The European Union and Morocco have both invested millions of dollars to this new infrastructure, and we’ll see a much higher investment from other nations in the near future. Want to learn more about the value of commercial solar lighting systems? Keep reading for an in-depth look at the benefits of these lights, who is using them, and how they can be implemented into your next project. Commercial solar lights are more commonly installed at sites of businesses, government facilities, public parks, and other public sites. These lights require no cable or access to the main power grid as they harness the energy from the sun using photovoltaic receptors; they are superior compared to low voltage lights if you are looking for lower long term costs and energy sustainability. In terms of cost, solar energy is much more cost-efficient than most traditional energy sources. For one, solar energy is now cheaper than fossil fuels thanks to investors that have recognized the growing influence of solar in the recent decade. Some lighting projects require a full trench to be built for power connectivity, while a commercial solar lighting system requires no connectivity to a main power grid. Here is a cost comparison between the solar and traditional lights, as well as a breakdown of the cost effectiveness between these lighting systems. In addition to financial savings, there are many other reasons why businesses around the country are making the switch to commercial solar lights. Many businesses are going green to receive tax credits and other government awards such as the ITC credit for green businesses. On top of that, many state and local laws support building owners in installing solar upgrades through financial incentives and tax reductions. Institutions of all types profit from commercial solar lights as their benefits are universal and advantageous. The primary benefactor of commercial solar lighting are businesses who use this system to cut costs and make their energy usage more sustainable. Types of projects that involve solar lights are typically signage lighting, parking lot lighting, and perimeter lighting so public areas are lit for common reasons such as safety, ease of work, and commuting. Additionally, schools are implementing commercial solar lights to cut costs and become environmentally friendly establishments, which offers them several tax incentives. Both businesses and schools are examples of organizations reaping the benefits from commercial solar lighting. City planners and government institutions also use commercial solar lighting as means to light up public spaces, such as parks, parking lots, and street lights. You might think that installing solar lighting is headache, but it’s actually easier than traditional lighting methods! Since a commercial solar light does not need to be connected to the main power grid, installation is simple and easy. First, you need to choose a system that would work best for you needs and area as efficiency varies based on various sizes and qualities of photovoltaic cells; make sure to use a reliable provider to get accurate prices and calculations for your system. Next, the company you work with will size your solar lighting system, which includes calculating a load estimate, solar panel amperage, backup battery, and inverter system. The company you work with will actually install the commercial solar lights, which is a quick and time effective process since no trenching or wiring is required. To learn more about installation, check out our article on installation tips for solar powered lights. And that’s it! Above is everything you need to know about commercial solar power lights- from their benefits to their main consumers to ways you can install these lights for yourself. 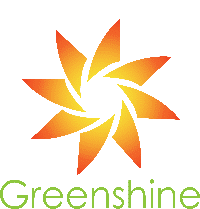 Greenshine is proud to be a part of this new revolution in energy where we harness the power of the sun–a cheap, reusable form of energy that’s available for everyone–that is, until the sun dies out. We think energy will be the least of our concerns when that time comes. But for now, If you’re interested in investing in commercial solar lights, contact Greenshine New Energy for a free quote for your next project. We think you’ll be surprised at the results that solar energy has to offer.